Many organizations that have acclimatized various CRM applications often encounter challenges where a high level of ambiguity persists between the sales and marketing teams as they face difficulties finding the right data at the right times. 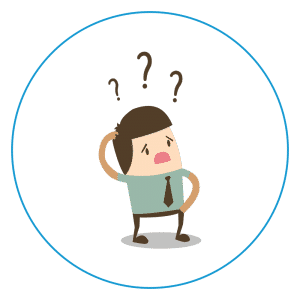 While the lack of clarity about the role and responsibilities of the sales and marketing personnel could be a reason, duplicate records, incomplete lead data, and obsolete and inaccurate information add to the confusion. Blue Mail Media can save you from this chaos. We provide CRM Data Enrichment Services where we scrutinize your CRM data and remove all redundancies that hinder your daily sales and marketing operations. Wide-ranging data fields are cross-checked and corrected with our large pool of industry, location, geography and target audience specific databases. Blue Mail Media has been a renowned name in providing customized B2B email and mailing lists and qualitative data appending services. Our CRM Data Appending services can radically support your sales and marketing teams in the lead generation process. We maintain a rich directory of decision makers from all industry verticals and keep our data repository up-to-date to help marketers with high-quality marketing data.